For the First Time in 40 Years… Economic Growth Hasn’t Lead to an Increase in CO2 Emissions. On an average, people tend to commonly associate CO2 emissions with the economy. So, what I am trying to get at is that many people think that if there is a global economic growth, in correlation, we expect to see an increase int he CO2 emissions as well. However, for the first time in over 40 years, we are seeing that this is not the case. This my friends is amazing news for all of us who care about the environment. While this is great news, the question still remains; what has triggered this trend to finally changed? Well, there are several factors and the International Energy Agency has evaluated all of the reasons that they believe that there hasn’t been an increase, but rather a decrease in the CO2 emissions, even though there was an increase in economic growth. China is the worlds largest CO2 emitter and it is also the country where a majority of the worlds industrial work takes place. Over the past two years, China has taken an initiative to reduce the amount of CO2 that they emit by shifting towards using renewable sources of energy, rather than using non-renewable sources of energy. In China’s case, they have led the world in the amount of solar installations with the hope of cleaning up the countries polluted air. 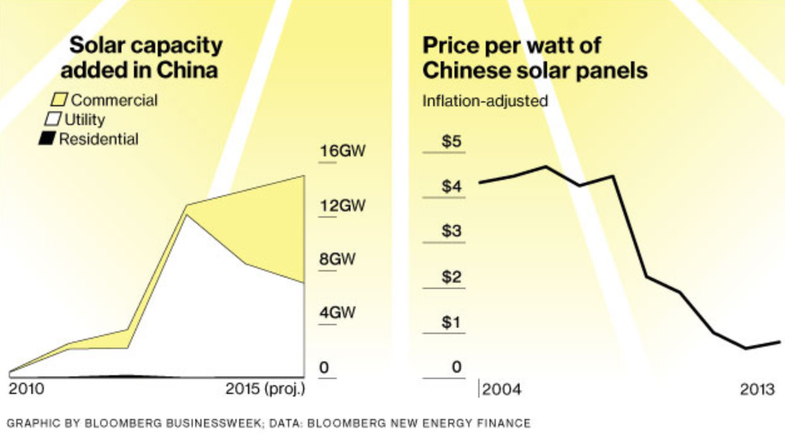 In figure 1, you will see that by the end of 2015, China hopes to add as much as 15 gigawatts of solar energy, which will power around 16 million houses. They want to accomplish this task by installing cheap solar panels on top of commercial buildings, rather than just confiding panels in the rural areas. Additionally, the second factor that has attributed for there to be a decrease in the amount of energy used is the idea that awareness causes people to change their behaviors. People are greedy. Unfortunately, this is the hard truth. If you tell them that they will save money by buying certain types of technology, they will be willing to do it. This has been happening all over the U.S. The more aware people become about the energy that they are using, the more willing they are to change their behaviors and their electronics. Over the past year, home energy efficiency has decreased drastically, causing there to be an overall decrease in energy. 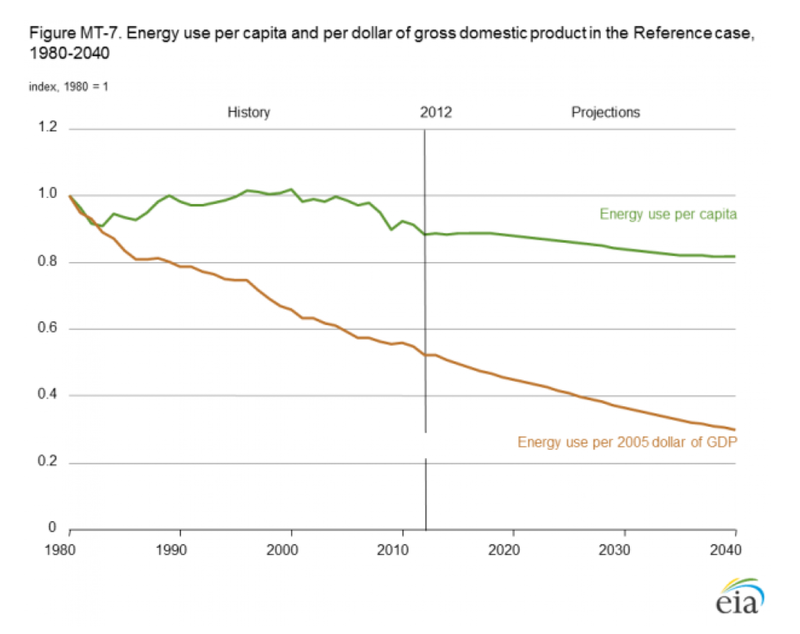 In figure 2, you will see that there is a decrease in the amount of energy in a per capita basis as well as a GDP basis. The third, which can be overruled, but it is still just as important. The IEA has reported that one of the reasons there is a decrease in CO2 emissions is because transportation has become more efficient. Cars are now being made in order to be more efficient. Now, lets rejoice. While the world still needs to make huge strides to bettering the environmental conditions, the progress we are making is incredible. China, the worlds leading CO2 emitter has come to its senses and so is the rest of the world.